In 2012 and 2014, the Department of Mineral Resources granted three rights to prospect for marine phosphate to private companies. These rights cover approximately 10% of South Africa’s marine environment. There is a complete lack of information on the impact of seabed mining on marine ecosystems. The technology that may potentially be used if seabed mining were to be permitted, Trailing Suction Hopper Dredge, is experimental, untested and potentially highly destructive. 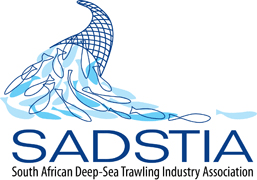 The socio-economic implications of seabed mining and have not been properly assessed. Seabed mining would negatively impact on small-scale fishers that directly depend on healthy marine ecosystems for livelihood and indeed survival. No other country has permitted seabed mining in its exclusive economic zone. Apart from bulk marine sediment mining, Operation Phakisa: Ocean Economy plans to unlock the economic potential of our marine environment. This includes rapidly promoting marine petroleum and mineral extraction. Currently, 98% of our exclusive economic zone has been leased for offshore oil and gas exploration. Operation Phakisa aims to fast track the drilling of thirty wells in the next ten years and develop infrastructure such as a phased gas pipeline network. Government has furthermore recently granted rights for a range of other industrial practices including coastal and offshore mineral sand mining and unconventional gas exploration such as offshore ‘fracking’. As a result of concerns the Centre for Environmental Rights (CER), with its partner WWF-SA, began working on a WWF Nedbank Green Trust funded project: Safeguard our Seabed (GT439). In 2015, the Centre for Environmental Rights supported the establishment of the Safeguard our Seabed Coalition. 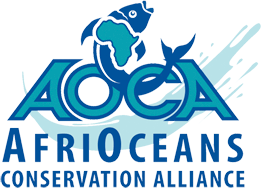 The main objective of the Coalition is to pursue a moratorium, or ban, on marine phosphate mining in South Africa.